A student of Yu Jim Yuen, he initially comprised part of the Seven Little Fortunes (along with Yuen Lung [Sammo Hung], Yuen Lo [Jackie Chan], Yuen Wah, Yuen Biao, Yuen Kwai [Corey Yuen] and Yuen Mo). Aside from appearances in early Jackie Chan films as a stuntman (The Young Master) his early appearances of note were for Shaw (My Young Auntie, Boxer from the Temple). Yuen Tak got his chance in 1980. Following the success of Snake In The Eagle's Shadow and Drunken Master with Jackie Chan, Shaw felt they could capitalize on their success, and who better to capitalize then another of the Seven Little Fortunes. Thus Yuen Tak stars in The Master. While the film is a great example of Yuen Tak’s talents, with excellent martial arts scenes it fails to come across than anything more than a clone of these films and thus does not utilize his talents to the best of their ability. Yuen Tak then focuses his talents as an action choreographer. Examples of his work are the superb scenes found in: Prince Of The Sun, Iceman Cometh or Dragon From Russia. He then collaborated with his opera brother, Corey Yuen. The collaboration yielded such fruits as Saviour Of The Soul, Fong Sai Yuk (which won an award for it’s choreography), She Shoots Straight and Operation Scorpio. He still found time for the occasional on screen appearance. He doubles as actor/choregrapher in Dragon From Russia and Angels 2 (and faces Moon Lee in the best sequence of film). 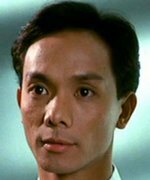 His Opera School brother Corey Yuen allowed him to shine as the villain in 1997’s Hero (alongside fellow brothers Yuen Wah and Yuen Biao). He also recently acted and helped choreograph The Myth (featuring Opera School brother Jackie Chan), which is an excellent showing of his schools. It is universally accepted among many people that he has never truly been given that vehicle with which to show the truest extent of his skill.